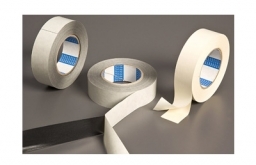 Description: A 6.4 mil solvent resistant crepe paper masking tape that is coated with a natural rubber adhesive specifically designed for high temperature paint masking in the housing, aerospace and automotive markets. Can withstand repeated temperature cycles of 300 degress F up to 1.5 hours without mass transfer or slivering upon removal. Meets several government and Boeing specifications. 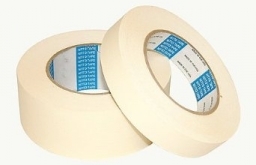 Standard Widths: ¼”, ½”, ¾”, 1", 2" & 3"